Whether you need roof repairs or a full roof replacement, we are the local roofing contractor you can trust. Badgerland Exteriors serves the South Central Wisconsin area, providing roof replacements and repairs done by a certified, experienced team of roofers. "Badgerland Exteriors did a great job replacing the hail damaged roof of..."
"Badgerland Exteriors replaced the roof on my house. I would HIGHLY..."
Of course, some costly emergency roof repairs, including roof leak repair, can be avoided by preventative work such as roof snow removal to prevent ice damming and roof collapse due to snow loading. 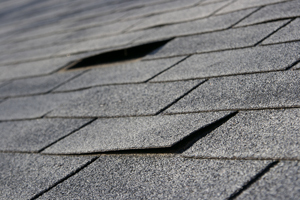 When emergency roof repairs are necessary, call Badgerland Exteriors for a fast, effective solution. Whether your roof needs to be repaired or replaced, Badgerland Exteriors provides quality roofing solutions at a reasonable cost. Our roofing services are designed to restore the overall structural integrity of your roof. Call us at 1-855-569-9767 or contact us online for a free estimate for roofing repairs throughout Verona, Prairie Du Sac, Middleton, Cottage Grove, Waunakee, Deforest, Cross Plains and nearby.